The holiday season is here! We thought this would be the perfect time to create a fun post about where you can find industrial gases in Brampton this time of year. While not typically associated with holidays, industrial gases actually play a very important part in the festivities. Here’s a look at several ways that industrial gases support holiday fun. Party decorations. 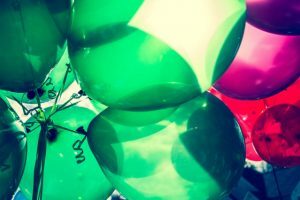 From schools to office parties to family gatherings, you’ll find parties outfitted with balloons – and helium is to thank for keeping those balloons afloat! Even the balloons that don’t float were probably filled with an industrial gas – unless you had a lot of helpers on hand to share their lung power! Holiday drinks. What are the holidays without a few special beverages? Industrial gases like carbon dioxide and nitrogen play an important role in beverage manufacturing, preservation, and dispensing from beers and lagers to wines, sodas, and more. Special effects. Dazzling fireworks and special effects like smoke and fog are common parts of every holiday show, it seems. Liquid nitrogen, liquid carbon dioxide, and propane can all be used to create smoke, fog, or haze. Food preservation. What would a holiday be without food? Thanks to industrial gases like nitrogen, oxygen, and carbon dioxide food can be safely preserved, frozen, stored, and chilled allowing it to making the long trek from farm to tables in Brampton. Oxygen is also used in fish farming to aerate tanks and CO2 is sometimes pumped into greenhouses to boost plant production. Bringing people together. Without portable oxygen tanks, many people would be unable to leave their homes or hospital beds to enjoy these events and time spent with friends and family. These are just a few ways that modern societies use industrial gases every day. Once you start looking, you’ll find industrial gases in Brampton at every turn, making the every day more festive and bright, not just the holidays. Visit Josef Gas in Concord for all of your industrial gas needs. We carry a full line of welding gases, food gases, pure gases, and specialty gases to meet the needs of any industry! 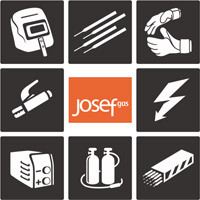 Visit www.josefgases.com or call us at 416.658.1212 to learn more.